Fun Fact: During the week I nanny part time. Long before I was a photographer, I was a certified preschool teacher. I've always loved working with kids! When I left my job as a preschool teacher and pursued my photography career, I didn't realize how much I'd miss working with kids. Yes, I am IN LOVE with my career and I get to meet kids of all ages, but there is something about teaching kids that just makes my heart happy. So, I went searching for something part time to not only keep me happy, but to also help me in my slower months. I found this amazing, wonderful family whom I've come to love and adore over the past 13 months or so. Lila was just 3 months old when I started with her, and now she's 16 months, and is walking and talking! It's been so much fun watching her grow, and helping with what I can along the way. 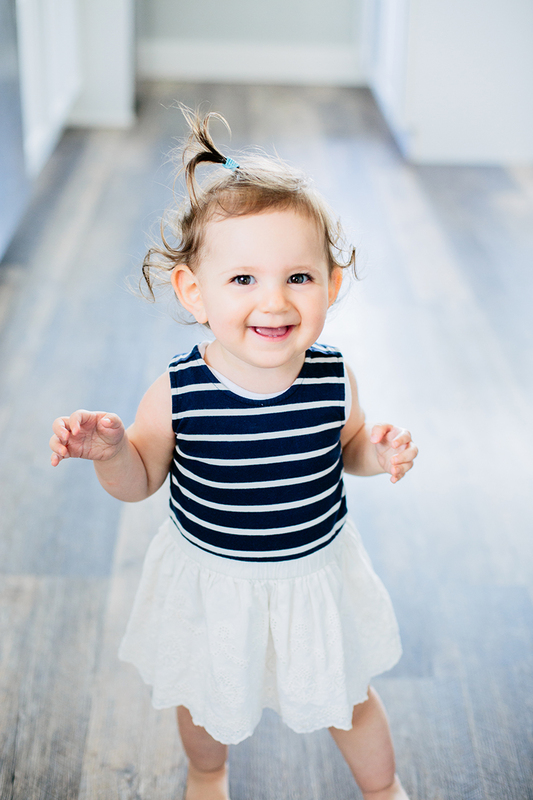 For Mother's Day, I decided to take some updated photos of Lila for her mom. It was a challenge photographing someone who knows me so well, but it was also SO much fun! I definitely need to bring my camera over more often. I may be biased, but I think Lila is just the cutest! I wanted to share some of the photos I took here today because they are just too cute not to share!